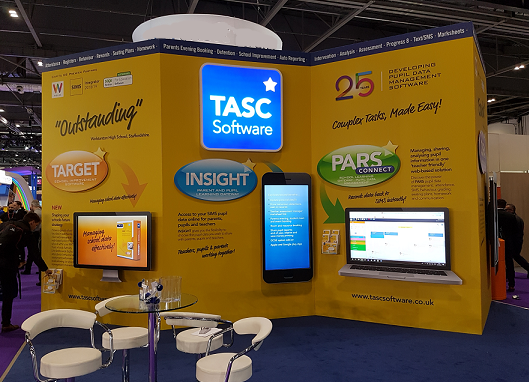 Visit TASC Software Solutions Ltd at EEAS in Newmarket February 22nd 2018. Presenting: INSIGHT; parental engagement software. CURA; safeguarding logging and tracking pupil concerns. PARS; Front end pupil data management for SIMS including mobile/tablet compatibility. Attendance, behaviour, detention, extra class, seating plans, homework…and more. TARGET; Presenting multi school data is a user-friendly, clear and manageable web-based solution for all schools within your MAT, Trust, Group or Local Authority.